Fresh cream. Real butter. Vanilla bean seeds – no extract. The finest spices, nuts and liqueurs, crafted into velvety confections and hand-dipped into a special Kakao blend of chocolate. The result? Perfect harmony. This is the taste of sweet music. All Kakao Truffle Boxes come with an assortment of available and seasonal truffles, which are all made fresh in small batches. 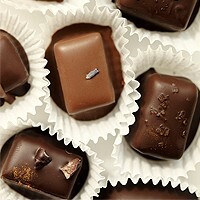 Enjoy 25 assorted pieces of our hand-dipped truffles in this box. 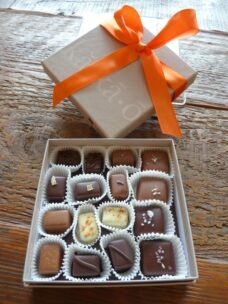 For special orders we can customize boxes with flavors at an additional cost – contact us at sales@www.new.kakaochocolate.com for details.